I would like to introduce you all to a great blog designer that I have been very impressed with. Her name is Kassie Garlock. She does great web designs. 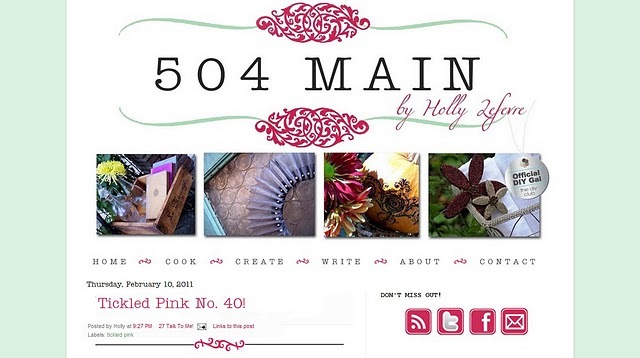 She also did my blog design and button design! So I can say from experience that Kassie is VERY easy to work with. She also listened to me and my many changing of plans and just knew exactly what I wanted each time. She worked with me until I was 100% satisfied. No matter what your style is she has probably already done it. Plus her pricing is VERY reasonable. They are the most reasonable prices I have found. 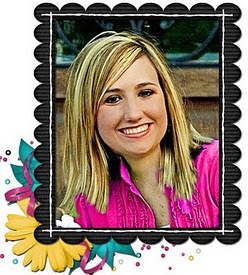 For a basic blog makeover it is just $30! If you just want a new header- $20! Now in the light of the season of Spring cleaning why don't you all get a new fresh look to your blog. You will feel so much better afterwards. Now to tell you a little bit of personal stuff about Kassie. I completely got her permission to share this with you. The blog world is a funny thing. Most of the people in the blog world you won't actually ever meet in person, yet you feel connected with them. It is a crazy, strange, yet fun thing. Kassie is a sweet girl and you can just tell through the conversations that we have had via email. In the light of our economy today alot of people are losing their jobs. Hard working people that are experts in their field are having a hard time finding jobs in their field. Kassie's husband is one of those people. I know that a lot of you out there have lost your job or your spouse has lost their job. It is a very stressful time isn't it? No amount of savings make you feel secure in that time when you have kids and a spouse counting on you to keep a roof over their heads and food on the table. So I am asking you all if have thought about getting a blog redesign...do it know! Help a family out! They will truly appreciate it! Just placed an order for my new header! I have been frustratingly trying to do one myself! Thanks so much Katie! You are such a sweetheart! Hi, I cannot find a way to actually contact Kassie on her blog. Am I missing something? I went through all the tags and couldn't find a way to her email her or even post a comment expressing interest her designs. P.S.-I love the name of your blog...I'm a mom of twin 3 year olds and a 2 year old....I relate 100%!! I made big chunky frames!